Practicing better oral habits is not just good for the health of your teeth, but it is also good for the health of your entire life. Believe it or not, your teeth can actually negatively affect your health and also your entire professional career. 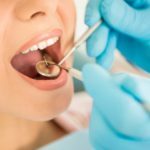 More and more individuals in America are finding it difficult to find the career of their dreams all because of the appearance of their teeth. With years and years of neglect, your teeth can end up becoming severely decayed and not only will you feel the tooth decay, but you will also display it when communicating with others, interviewing for a job and also simply looking in the mirror. According to the CDC, studies show that there were approximately more than 31.6 percent of adults in America who had untreated dental problems that went untreated for many years. Surprisingly, there are many people who tend to neglect their oral health. Many people actually only end up seeing a dentist when they absolutely have to because of intense pain that they experience. What many people don’t realize is that seeing a dentist on a regular routine basis can actually allow them to maintain their or health and can also prevent any serious oral conditions from happening. Having poor oral health can negatively affect your self-esteem and confidence. After neglecting your teeth for quite some time, tooth decay can become so great that it is hard to not notice. Some people are so badly affected by their teeth that it even impacts their ability to land a good job for themselves. According to Markets Insider, a study conducted showed that approximately more than 77 percent of people who participated felt that decayed teeth and even having bad breath can seriously impact their ability to get a good job. The study also showed that more than 62 percent of individuals felt that having obvious decayed teeth and even missing teeth would definitely put them at a significant disadvantage for getting a job. Your oral health will negatively impact your life if you fail to acknowledge that your oral health plays an important role in your life. Most dental professionals recommend that you visit your dentist every 6 months in order to perform a regular dental examination and cleaning. Routine examinations and cleaning can prevent many of the serious oral health conditions that you could possibly face after years of neglect. Also, there are many serious oral health conditions that can end up costing hundreds and thousands of dollars just to successfully treat your condition. Begin your path to better oral health by looking up where your nearest dental facility with the best dentist kennewick wa. Practicing better oral habits is not just good for your teeth, but it is good for your life. Your life can be negatively affected with poor oral habits. Making your oral hygiene a priority and also incorporating better oral habits can definitely change the outcome of your life to be favorable and pleasant.